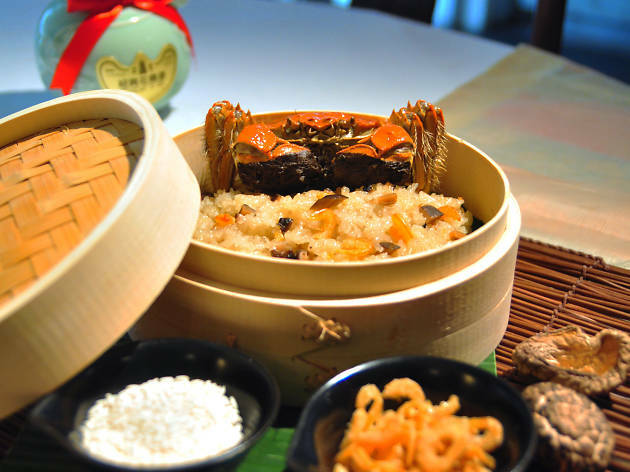 Min Jiang's master chef Chan Hwan Kee shows hairy crab fans that more can be done with the seasonal delicacy besides giving it a quick steam. Try it wrapped in lotus leaf and baked with ginger rice wine ($68), with glutinous rice ($68) or poached with Chinese rice wine ($68). 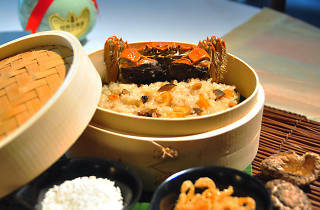 Plain steamed crabs go for ($68), and set menus ($108/person, $128/person, minimum two to order) feature hairy crabs with other dishes like Chinese-style pan-seared Kurobuta cutlet and glutinous rice dumpling in osmanthus sweet wine soup to make a full meal of the whole experience.